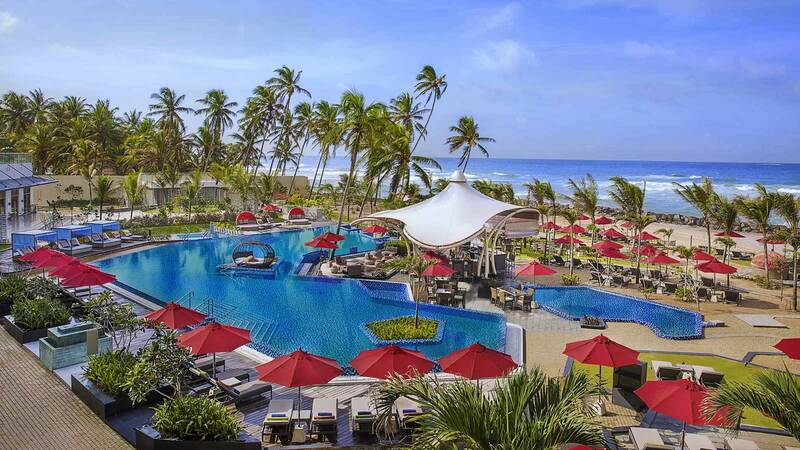 Nestling in lush natural greenery overlooking the azure waters of the Indian Ocean is Amari Galle Sri Lanka. 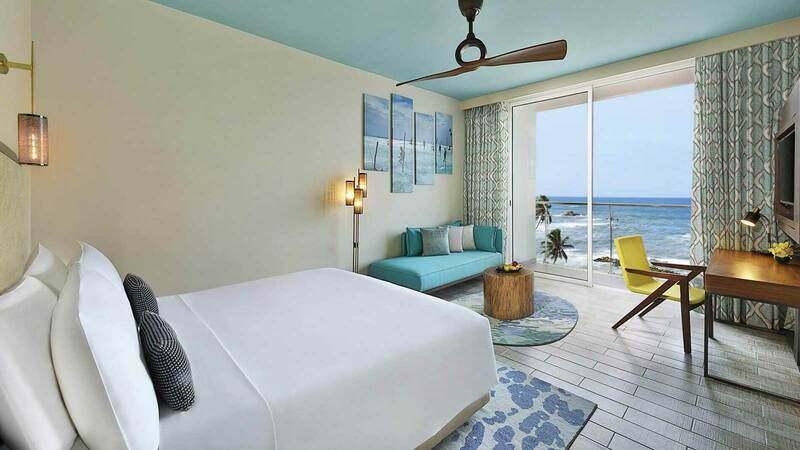 This luxury resort ticks all the boxes on your holiday wish-list, from a gorgeous beach, mouth-watering cuisine, and a plethora of on-site facilities on your doorstep to vibrant culture within easy reach. 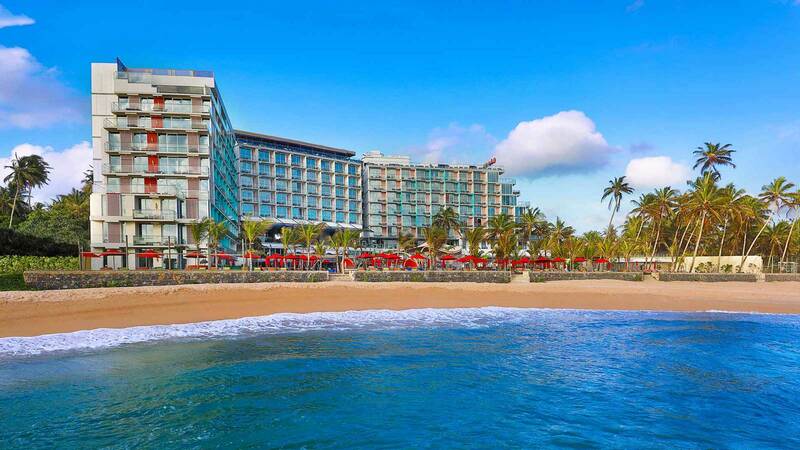 The pool area and adjoining beach is the centrepiece of the hotel. 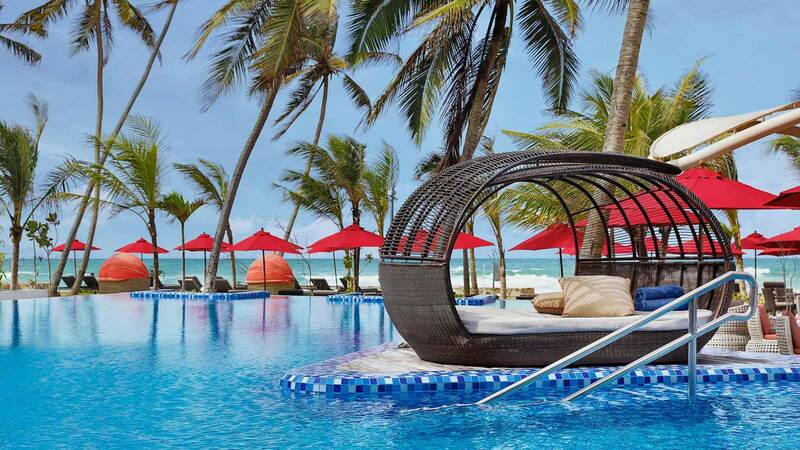 Relax on a cushion-topped lounger and work on your tan, while the little ones have fun at the kids' club. Escape to the Jacuzzi at the spa or up the tempo with a workout in the fitness centre. Why not leave the hotel behind and take a cultural trip to Galle Fort or Japanese Peace Pagoda? 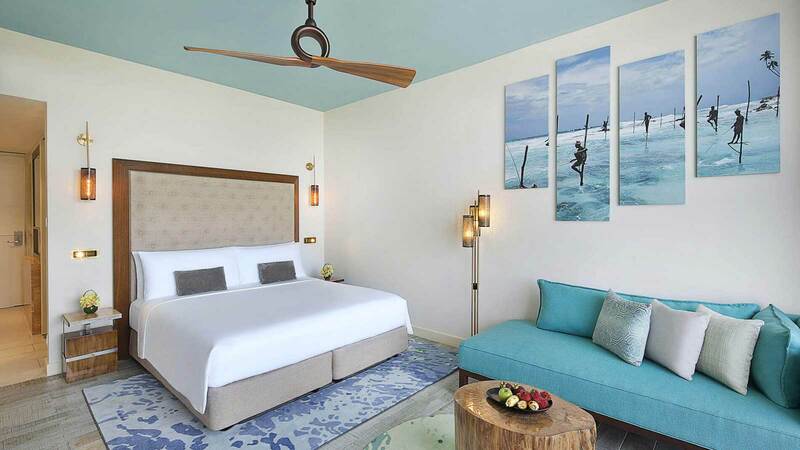 Sri Lankan art and a blue and white colour scheme set the scene in your guest room or suite. 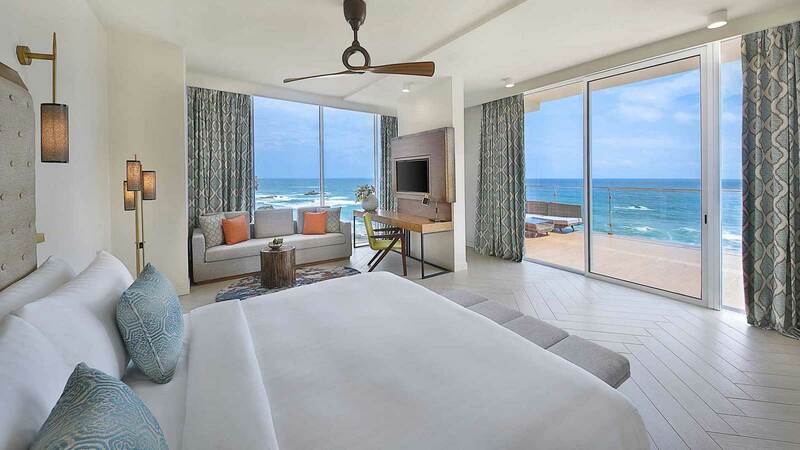 Welcome touches such as tea/coffee making amenities, individual climate control, minibar, complimentary Wi-Fi access and 40-inch LCD television are equally-matched by a bathroom with rain shower and a balcony or terrace with garden, sea, or pool views. Dine your way around the world at the on-site eateries. 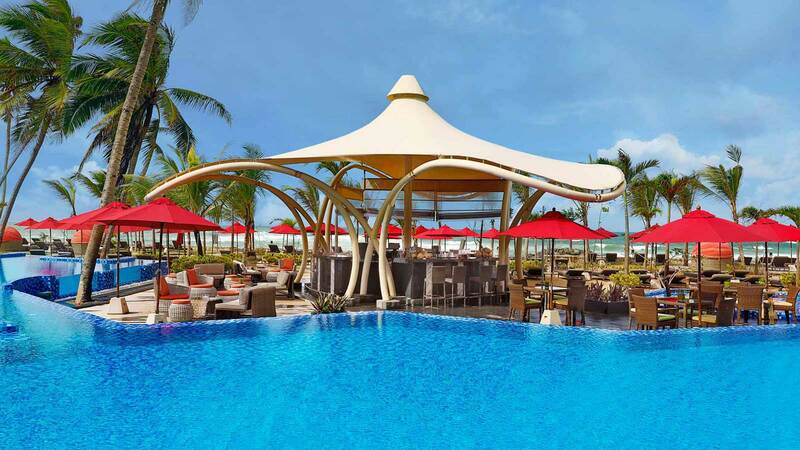 Feast on buffet-style, Asian, and international fare in the all-day signature restaurant or savour light bites, prime cuts, and drinks by the pool. 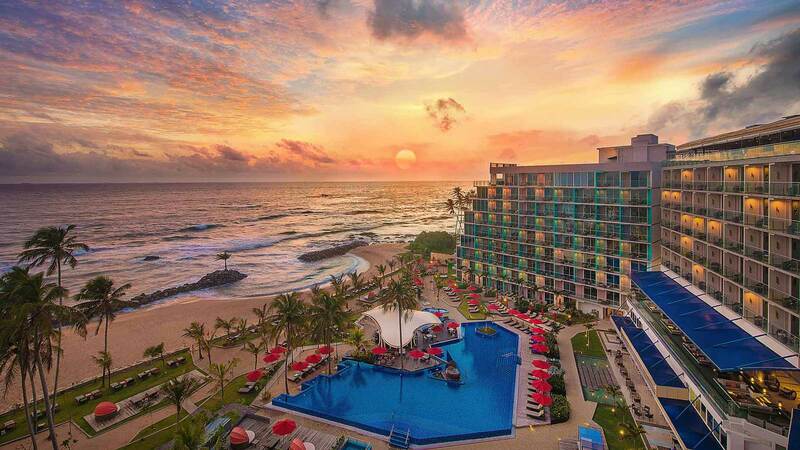 There's no better end to your day than to head up to the rooftop bar in the evening to watch the colourful local sunsets with a tropical cocktail in hand. 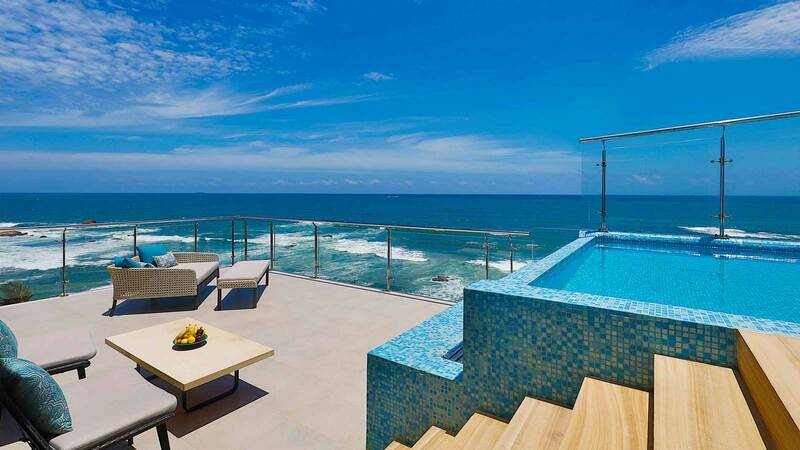 Choose Amari Galle Sri Lanka for your holiday in Sri Lanka. The facilities at Amari Galle Sri Lanka include: an outdoor freeform swimming pool, restaurant, beach club, rooftop bar, spa with Jacuzzi and steam room, fitness centre, kids' club, complimentary Wi-Fi access, 24-hour reception, concierge and airline desk, currency exchange, first aid, wheelchair access, on-site parking, and on-call doctor. The 24-hour Voyager Lounge offers you luggage-size lockers, showers, complimentary Wi-Fi, and food and drinks. The all-day signature Ahara Gourmet Gallery eatery serves a buffet-style breakfast followed by Asian and international dishes from live cooking stations at lunch and dinner. 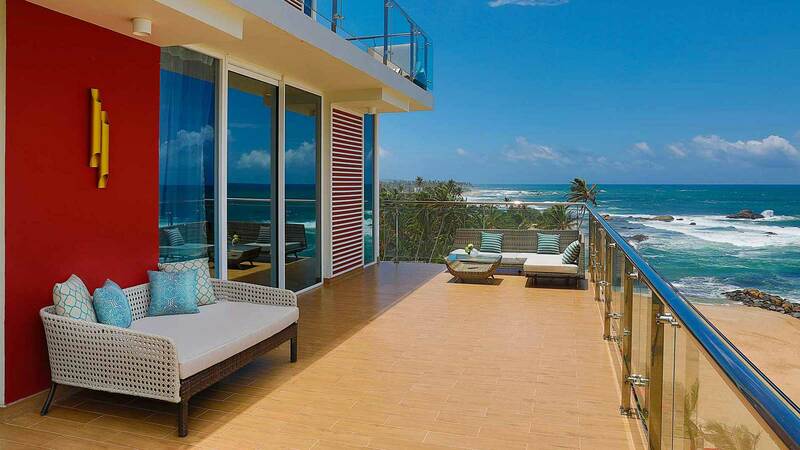 Visit Shoreline Beach Club for drinks, prime cuts, and light snacks during daylight hours. 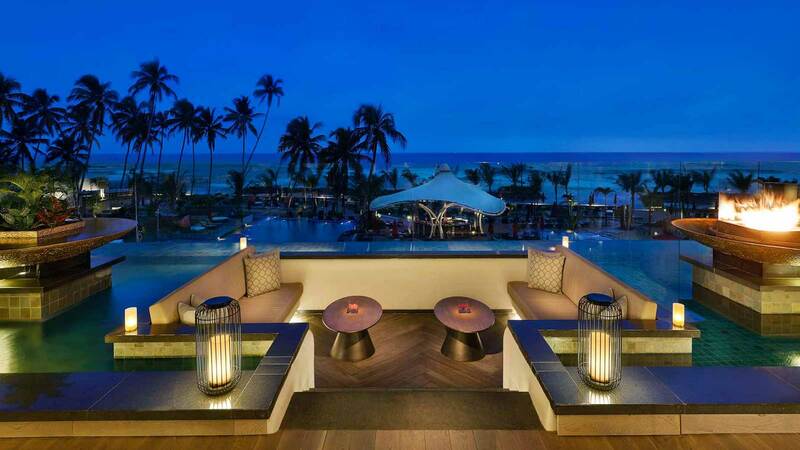 Bommu Rooftop Bar is the perfect spot for tropical cocktails and panoramic views at sunset. Start the day in a healthy way with a few laps of the outdoor pool or a workout session in the FIT Centre. Follow up with a wind-down in the Jacuzzi or steam room at Breeze Spa. There are also fun times and activities for tots to pre-teens at the Kids Club. 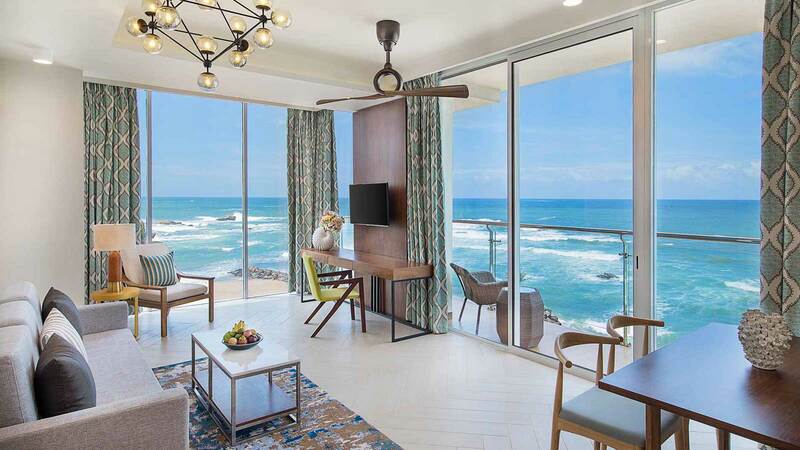 There are 172 guest rooms and suites at Amari Galle Sri Lanka; comprising Deluxe Garden View, Deluxe Terrace Ocean View, and Grand Terrace Ocean View Rooms, and also One Bedroom Suites Ocean View and Presidential Suites. Each room and suite features Sri Lanka art and a blue and white colour scheme plus king-size or twin beds, balcony, safety deposit box, tea/coffee making amenities, iron/ironing board, work desk, alarm clock, individual climate control, minibar, complimentary Wi-Fi access, telephone, 40-inch LCD television, multimedia hub, radio, turndown and wake-up service, and in-room dining. The bathroom has a rain shower, complimentary toiletries, bathrobe, shaver point, slipper, and hairdryer.